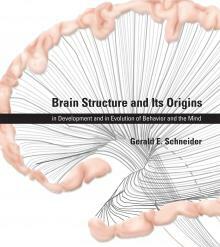 I just finished reading most of this wonderful new book by Gerald Schneider from MIT (who was already describing two visual systems in 1969): Brain Structure and Its Origins: in Development and in Evolution of Behavior and the Mind. Comparative neuroscience is seldom ever touched in standard textbooks, which is really unfortunate because so much of how we think about the brain has to do with some “folk neuroscience” ways of thinking. This can hardly be ignored when we start studying emotion, motivation, reward, all those good things that gained so much traction in neuroscience in the past two decades. And now are mainstream. No ones’ work, or book, is perfect of course. My main problem — perhaps not surprisingly — with the book is its treatment of the “limbic system”. Although it is grounded in comparative neuroanatomy and thus much better than other treatments of the purported system, the treatment is problematic for lots of reasons. The presentation is miles better than what would be found in a medical neuroscience textbook, but discussing an emotion circuit of Papez is just unfortunate. But otherwise, what a great book. I wish I had learned about the brain from a book like this, where was it all along? !